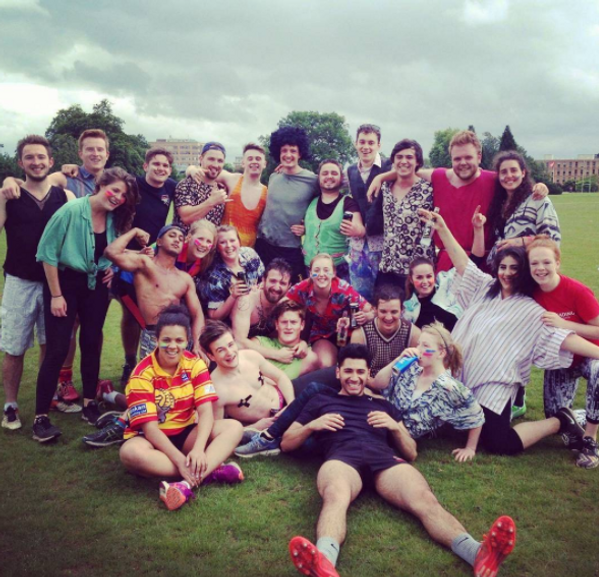 Being part of a team sport is a great way to make new friends during your time at University. From the moment you sign up, you will be part of a close unit who train and play weekly matches together both on and off the pitch. They become your second family at University and are there for you no matter the situation and will always be there to pick you up when you are feeling low, or after a tackle. We are able to play against some fantastic Universities across the country and take them on in the cup matches, as well as some friendlies to help introduce players to the sport. You are given so many opportunities throughout the sport, such as becoming a more confident person by having a team who will always have your back. You can try numerous positions on the pitch – your capability doesn’t matter as you learn as you progress, starting off playing as a back before moving to the stronghold of the scrum. We have been able to expand our rugby circle through playing opportunities for other clubs locally. Not only does this give you more experience, but also the possibility of getting more game time outside the University squad. Playing for other teams locally will also help you if you wish to continue playing after your rugby time at University draws to a close. We tend to have clubs join in on some of our training sessions to help introduce us to new skills as well as refine our technique. Not only do we play hard – we party hard! Tour is a great opportunity to visit some amazing places and get to know your team better. This year we were able to take part in a 7’s tournament during this year’s tour to Berlin. Tour allows you to soak up the culture of spectacular places which you might not be able to do normally. In the past years, we have been to Prague, Dublin and Berlin and look forward to seeing where we go in 2018. 5. Get The Party Started! Fun things happen both on and off the pitch. The committee works hard all year round to make sure that we treat our players to nice breaks from matches with some super socials. Have no fear if clubbing is not your cup of tea as we love having feedback from our players about improvements or ideas they would like introduced. This year we have worked hard on bringing a variety of socials from our team picnic, joint socials with rugby league which have proved to be a huge hit, and not forgetting our classic union night with hilarious costumes.